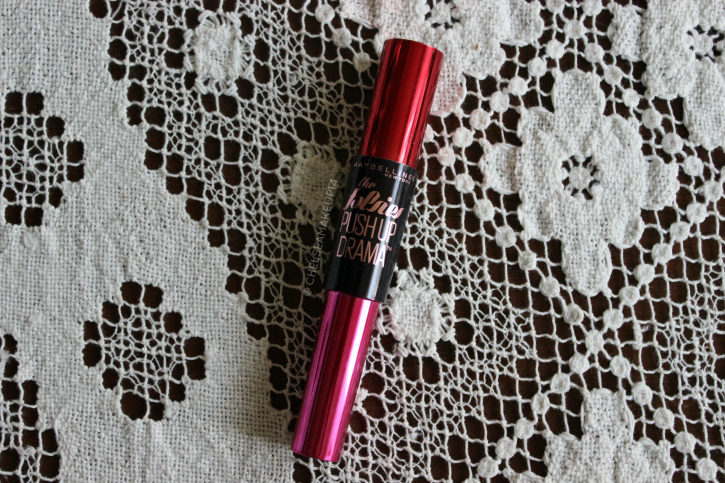 Maybelline The Falsies Push Up Drama Mascara: Review! | Chelsea B.
Maybelline The Falsies Push Up Drama Mascara: Review! I'm back today with a mascara review! I have been switching up my mascaras. I'm either using my Marc Jacobs Velvet Noir mascara or I'm using this one, the Mabybelline The Falsies Push Up Drama mascara. This mascara gives my lashes lots of volume and length. I really feel like I'm wearing false lashes when I'm wearing this mascara, that's how amazing it is! I don't have any problems with this mascara flaking off or smearing throughout the day. The formulation of this mascara is a little creamier than some mascaras that I've tried. This mascara layers really well but I don't feel like I have to layer it. I usually just apply 1 or 2 coats and I'm happy with the results. Also when it comes to applying the mascara, I don't have any problems with it getting too clumpy or anything like that. You can get this mascara at Ulta for around $10. Have you guys tried this mascara? What mascara are you currently using? Let me know in the comments!